Without a doubt, the Call of Duty series has found a formula that works. Ever since the release of Call of Duty 4: Modern Warfare in 2007, each subsequent entry has built upon that game's framework to achieve increasingly-impressive success. But with the upcoming Call of Duty: Black Ops 2, developer Treyarch wants to mix things up a bit. To achieve this goal, studio head Mark lamia said the team needs to answer one important question: How do you change a series that isn't broken in the first place? "We spend a lot of time trying to figure that out," Lamia told Gamasutra in a recent interview. "When you're in a franchise, you have to pay attention to a lot of different things, since you have people coming back year after year." The Call of Duty audience has some rigid expectations for what the series should be, but Lamia pointed out that this serves as a creative boon to the team at Treyarch. The franchise can't survive if it doesn't evolve, and Lamia said the desire to overcome expectations encourages the team to stay creative and mix things up where it can. "The team knows that there have been many entries in the series leading up to this, so they really want to bring something fresh to the table," Lamia said. "For the campaign in particular, we know there have been come criticisms there, where people have said, 'Gee, it'd be really great to have some choice elements to the game.' But we know, without a doubt, that people love that cinematic experience that's heavily scripted." Of course, the studio didn't want to make a complex, branching campaign, only to alienate the players that still enjoy the scripted, linear style Call of Duty is known for. Instead, Treyarch chose to appeal to both audiences by creating a campaign that offers both linear and choice-based sequences within a single narrative. 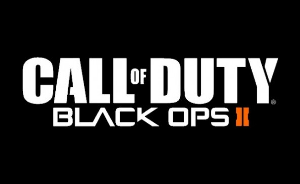 Like previous Call of Duty entries, Black Ops 2 will feature plenty of linear, scripted sequences, but it will also include what Treyarch is calling 'Strike Force' levels, where a player's actions can have a lasting impact on the game's overarching narrative. It's a noted departure from previous Call of Duty entries, but Lamia believes it will help the title capture the players that are looking for something outside the series norm. Not only that, but Lamia added that these campaign changes give the team a chance to flex their creative muscle, allowing them to experiment a bit while working within a tried and true franchise. "Based on the reception we've gotten over the past few years, clearly there are plenty of people who are happy with what they've gotten before, but for us, on a creative level, we always want to try something new -- just so long as it still feels like Call of Duty," Lamia said. HALO 4 woohooo hahah just kidding.